Roughly three quarters of a mile east of the great pueblos the river swings obliquely across its narrow valley from northeast to southwest. 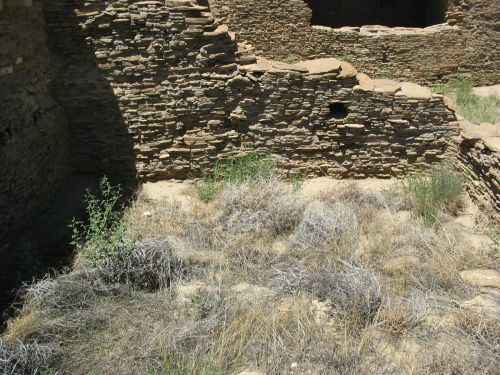 The broad bench thus left north and west of the river was till recently dotted upon all sides of the large ruins with the remains of many cobblestone and adobe structures. Within the last few years a number of these lesser sites have been destroyed in order that the owners of the land might increase the tillable area of their fields. Córdoba was one of these landowners, of course. It appears from Morris’s statement that a large number of what we would now call “small houses” existed in close proximity to the great houses at Aztec, much like at Chaco. This is particularly relevant to the question of the extent to which the Totah was densely inhabited before the Chacoan immigration that many have posited as being behind the founding of Aztec and Salmon. 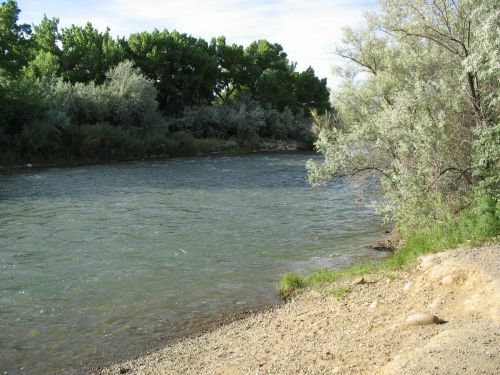 People have generally agreed that Salmon, which is on the San Juan rather than the Animas, was founded in a previously uninhabited or sparsely inhabited area, and some people claim the same for Aztec. Since we don’t know when the sites Morris mentions near Aztec were inhabited, his statement doesn’t provide direct evidence either way, but it does point out the dangers of making judgments about prehistoric habitation based on currently visible site distributions. 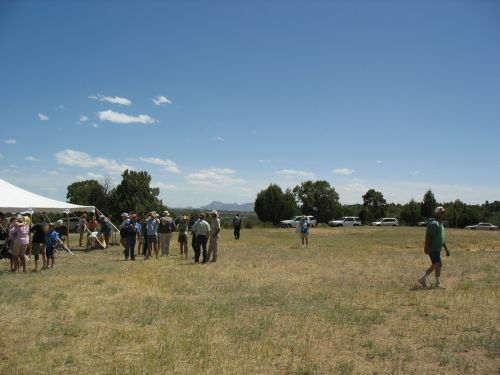 The San Juan valley has been just as heavily developed in modern times as the Animas valley, and the larger size of the San Juan also implies that more sites are likely to be buried under sediment there. I remain skeptical about claims that the Salmon area was uninhabited before 1090. The site Morris excavated, however, seems to have clearly been contemporaneous with the Aztec complex rather than predating it. There was no way for Morris to know this in 1915, of course, which was before he even started excavating at Aztec West, but it’s clear from the artifacts he shows in his article that the site was inhabited in the 1200s, and perhaps a bit earlier. Most of the illustrated ceramics seem to be Mesa Verde Black-on-white, which is typical of this period. The site itself was made of adobe with occasional cobbles, which is standard local architecture, and it was apparently two stories high in places. 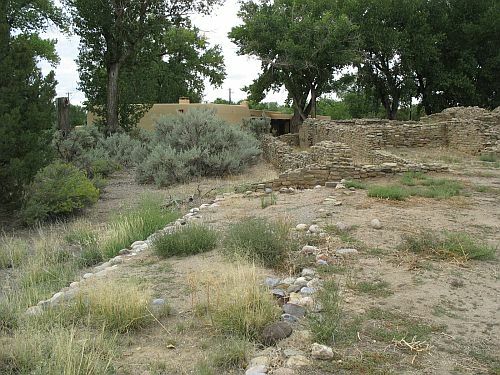 This is unusual among small houses (though standard for great houses), and it suggests that this site may be a residence of local inhabitants of some distinction or, perhaps, a somewhat larger aggregated site comparable to those known from the Mesa Verde region to the north during this period. The site was mostly gone before Morris got to it, so he couldn’t tell how large it had been originally. We know so little about sites in this region other than Salmon and Aztec that it’s hard to say what this site may have originally been like, but the sites excavated on the Bolack Ranch on the south side of the San Juan by the Totah Archaeological Project may provide a useful point of comparison. 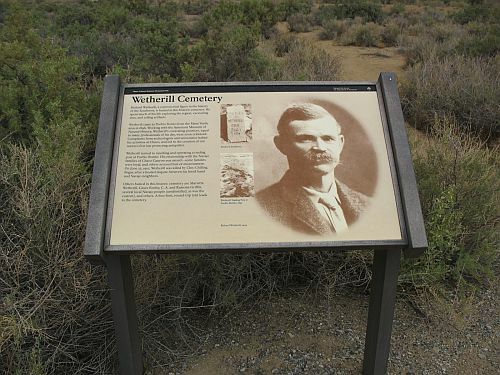 As was apparently the case for some of the Bolack Ranch sites, the Córdoba site contained many burials. In addition to five adults and two infants buried a short distance to the east of the roomblock, nineteen people were buried in three of the six rooms Morris excavated. Morris suggested that “calamitous circumstances such as siege, pestilence, or famine overtook the inhabitants and caused great mortality among them,” leading to the unusually high number of burials in so few rooms and the oddities of the way some of them were buried. The site appeared to Morris to have been burned, which might indicate warfare in the region during the late 1200s. This would not be surprising, as there is abundant evidence for warfare in many other nearby regions at this time. Another interesting thing about this site was the burial of a badger just north of the human burials east of the roomblock. According to Morris “the animal had been put away with all the care ordinarily bestowed upon a human being.” Animal burials like this are pretty common at Pueblo sites. They are most often of dogs or turkeys, but occasionally of other animals. As far as I know no one has looked at the spatial and temporal patterns in which animals are buried where, but that might be one way of getting some evidence for possible migrations of specific groups that might have had particular attachments to different animals. Overall, this is an interesting paper, with quite a bit of interesting information despite its short length and emphasis (typical for the time) on artifact description rather than discussion of larger issues. It doesn’t seem to get cited very much, which is unfortunate because it provides a useful point of comparison for more recent excavations in the region. Why Do We Know So Little about the Totah? In comments to my post on Salmon Ruins, John Barton asks for more discussion of this area, which is surprisingly poorly understood given its obvious importance to Southwestern prehistory as a whole and the Chaco system in particular. Wolky Toll has a chapter in the Salmon synthetic volume discussing the Totah region (named from the Navajo name for the Farmington area), and particularly the La Plata subregion, which is becoming somewhat better understood due to a major salvage archaeology project along New Mexico Highway 170, which parallels the La Plata River from the Colorado border south to its confluence with the San Juan just west of Farmington. Toll has played a major role in this project, and his chapter has interesting things to say about the Totah in general and the La Plata valley in particular. I don’t really buy all of his interpretations of Chaco; he’s one of the major proponents of a view of Chaco as a regional ceremonial center drawing pilgrims from throughout the San Juan Basin, including the Totah, but with a minimal population permanently resident in the canyon. 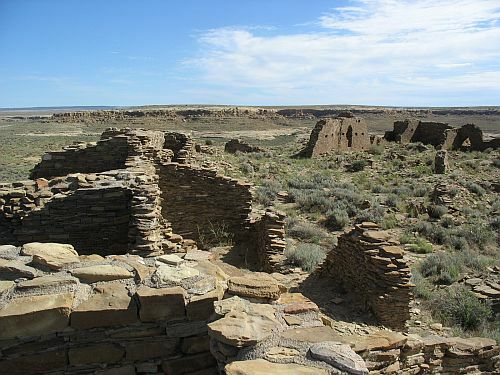 He’s particularly associated with the view that even the small-house residents at Chaco only lived there for part of the year, having other residences in other communities, especially along the Chuska Slope to the west. 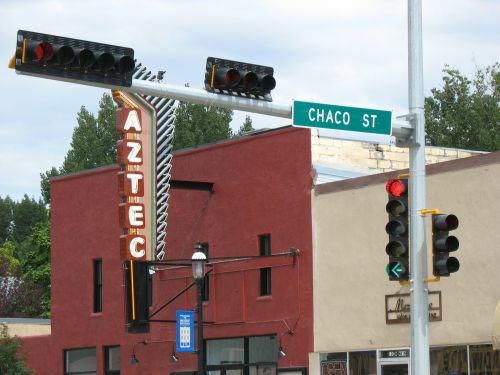 I’m more inclined to see Chaco as some sort of hierarchical system with at least a relatively large permanent population, mostly in the small houses, though I’m not sure which version of this idea (and there are many out there) I find the most convincing. Still, Toll knows a lot about the Totah. He even introduced the term to archaeological use in an important chapter in a previous edited volume that he coauthored with Peter McKenna. One of the important points he makes in the newer chapter is that while this region has historically been treated as part of either the Mesa Verde region to the north or the Chaco region to the south, it really has an independent identity and cultural trajectory that has been obscured by seeing it entirely in terms of migration or influence from north or south. This is not to say that the Totah was isolated from developments to the north and south; far from it. It’s really more accurate to see the whole San Juan basin as a single cultural region, with remarkable uniformity in many cultural expressions and changes over time. The specific manifestations of those cultural processes were not necessarily identical, of course, but there’s more similarity than archaeologists are often inclined to say. 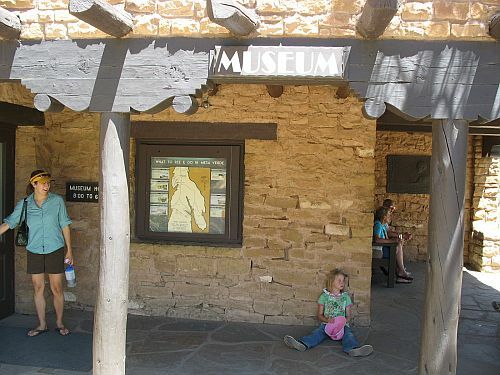 Part of the problem here is just the way archaeology developed in the Southwest. As Toll notes, the activities of the Wetherill family had a huge influence on which areas came to be considered most important to the interpretation of regional prehistory. They were not the only influential figures, of course, but they definitely did a lot to put Mesa Verde and Chaco specifically on the radar of the archaeological profession as well as the general public. In any case, the way things developed was that Mesa Verde and Chaco became well-studied, with major excavation projects in the late nineteenth and early twentieth centuries producing huge numbers of artifacts and a general understanding of the chronological sequence of pottery types and other artifacts. Once tree-ring dating provided an absolute chronology for the whole region, the general outline became clear: Chaco flourished in the eleventh century then declined in the twelfth, while Mesa Verde hit its peak later, in the thirteenth century, shortly before the whole region was abandoned around 1300. This was a bit of a shift from the more evolutionary approach to culture history encapsulated in the original Pecos Classification, developed at the first Pecos Conference in 1927 and described by Alfred Vincent Kidder in a short article in Science at that time. This system saw both Chaco and Mesa Verde, with their big, impressive masonry “pueblos,” as belonging to the Pueblo III or “Great Pueblo” period. 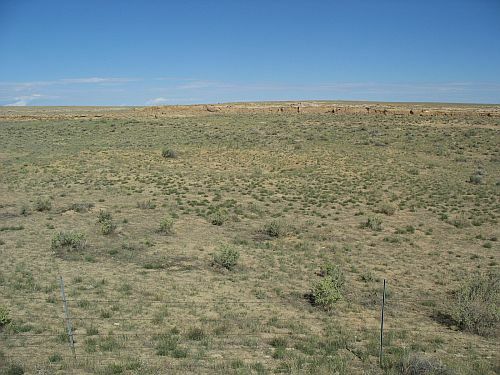 The tree-ring dates, however, showed that Chaco’s peak actually occurred earlier, coincident with the widespread small sites that marked the Pueblo II period. Turning back to the Totah, the main excavation project there in the early twentieth century was conducted by Earl Morris at Aztec Ruins. This was the largest site complex in the area, and it clearly indicated some level of social and cultural importance. What Morris found there, however, instead of a unique and clearly indigenous material culture, was a mix of what seemed to be Chaco and Mesa Verde material culture. 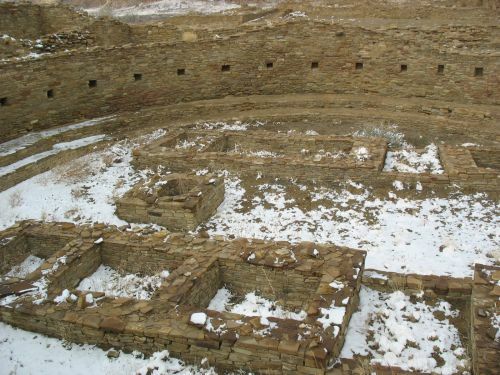 The early deposits showed clear similarities to Chaco, as did the architecture of the site, which Morris interpreted as evidence for a close cultural connection to Chaco. After this period, however, Morris saw evidence for an extended hiatus with little evidence of any sort of occupation or use. After that there was another, quite different suite of material culture that looked much more like Mesa Verde. Morris interpreted this sequence as an initial Chaco-affiliated occupation followed by abandonment and reoccupation by immigrants from the Mesa Verde region to the north. In an important chapter in the Salmon synthesis volume, Gary Brown, Peter McKenna, and Tom Windes argue persuasively that Morris was actually wrong about this, and that while the construction and early occupation of Aztec does indeed show substantial connections to Chaco, there was probably not any abandonment or hiatus, just a period of somewhat reduced construction activity at a time of widespread drought and environmental hardship in the mid-twelfth century. This lull was followed by extensive occupation and construction in the thirteenth century, especially at the east ruin (which Morris didn’t excavate). The occupants at this time did have pottery similar to that used at Mesa Verde, but that doesn’t mean they were immigrants from there, and it’s much more likely that they were primarily local people who had been living at Aztec all along. Everyone in the region at this point was making the type of pottery now known as “Mesa Verde Black-on-white,” and there’s no particular reason to think that any groups in the Totah had links to Mesa Verde, which itself seems to have been remarkably isolated during this period, with few trade goods found at the many excavated sites in the region despite its large population. A similar story seems to obtain for Salmon, with an early Chaco-affiliated occupation followed by a period of continued occupation but little major activity, then an increase in population and activity before the final depopulation of the entire region. So why did Morris get this wrong? 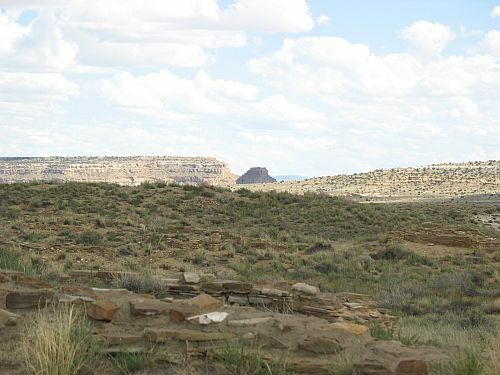 One reason, which Toll emphasizes, is that the mere fact that Chaco and Mesa Verde have been much more extensively studied than the Totah means that ceramic types (and other types of material culture, but pottery is the most important for cultural classification) have become associated with one or another of these areas, so that when they are found elsewhere in the region they are taken to indicate influence or migration from Chaco or Mesa Verde rather than a regionwide stylistic trend uniting all of these areas. 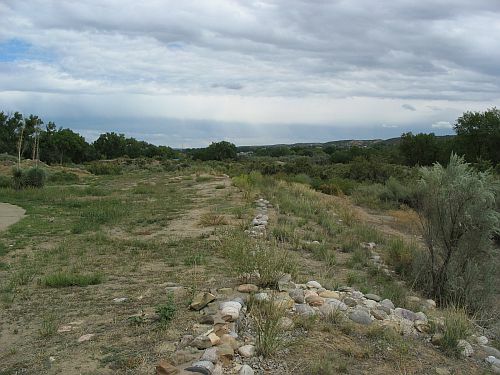 The latter is more likely, however, especially for the Totah, which was a major population and cultural center throughout the Pueblo II and III periods. In her chapter in the Salmon synthesis volume, Lori Stephens Reed describes the discovery that the ceramic types found at Salmon and Aztec that have traditionally been classified as “Cibola” (Chaco) or “Northern San Juan” (Mesa Verde) types based on temper and design were mostly made within the Totah, judging from the type of clay used for the paste and slip of the vessels. Rather than define new types, she just adds the qualifier “Animas Variety” to the existing type designations to indicate this local origin. This makes sense from an Ockham’s Razor perspective, but as Toll notes in his chapter it’s really the type names themselves that have led to the downplaying of the local factor in the prehistory of the Totah. But why didn’t the Totah get the early attention that would have gained it the pride of place in Southwestern archaeology occupied by Chaco and Mesa Verde? Ironically, a big part of the answer seems to be tied precisely to the geographic factors that made it such an important area in the first place. One of the main reasons Mesa Verde and Chaco attracted early attention from archaeologists and pothunters was that their isolated locations left them unbelievably well-preserved. The sites were very obvious on the landscape, many had stood relatively well due to either their massive construction (at Chaco) or their sheltered locations (at Mesa Verde), and they were sufficiently hard to get to that subsequent inhabitants and explorers hadn’t done them much harm. The Totah, however, is an enormously attractive and productive agricultural area. This is presumably what attracted people to Salmon, Aztec, and other communities in prehistory, and it definitely attracted huge numbers of Anglo settlers in the late nineteenth century who proceeded to plow over, loot, and otherwise damage the numerous archaeological sites they found before archaeologists had even heard of them. The really big sites, like Salmon and Aztec themselves, managed to remain in relatively good condition until they could be professionally excavated, but innumerable smaller sites have likely been completely destroyed. The local environment has also led to decreased visibility for these sites directly, by covering them with alluvial silt that makes them difficult or impossible to see from the surface. As a result, we have little sense of how many sites are out there today, let alone how many were there initially before the farmers and the pothunters got to them. Again, this is in contrast to the harsh environments of Chaco especially, and Mesa Verde to a lesser extent, where there are no permanent rivers to bury sites so deeply. Furthermore, modern development in the Totah has been extensive, and there’s very little information about what lies underneath the rapidly growing modern towns of Farmington, Aztec, and Bloomfield. For all of these reasons, the Totah remains surprisingly understudied, despite its obvious importance for understanding Southwestern prehistory. Luckily this is starting to change a bit, at least on the conceptual level, with publications like Toll’s and Reed’s that point out the distinctiveness of this area and its independent identity. 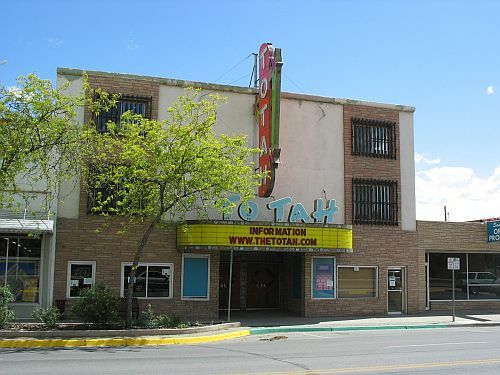 The Totah has stood in the shadow of Chaco and Mesa Verde for a very long time, but it now seems to be finally coming into the light. What Makes a “Kiva” “Great”? 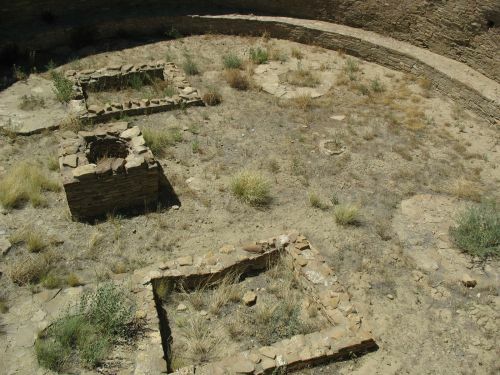 Although the idea that the small round rooms that area so common at Chacoan sites are ceremonial “kivas” has been increasingly challenged recently, it is still widely accepted that the large, formal, round structures known as “great kivas” were in fact community-wide ceremonial or integrative facilities. 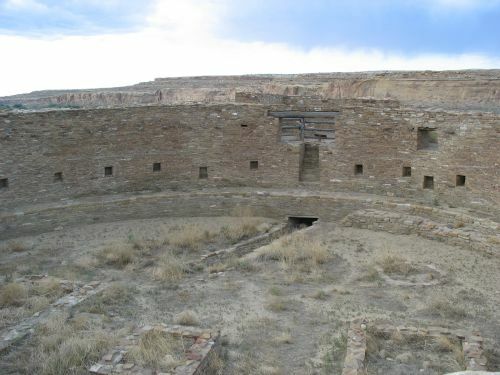 Even Steve Lekson agrees, and he continues to use the term “kiva” in referring to these structures even as he calls the small “kivas” “round rooms” instead. (He also uses the term “kiva” in referring to “tower kivas,” yet another form of round structure with proposed ceremonial associations.) Ruth Van Dyke‘s chapter in The Architecture of Chaco Canyon, New Mexico is a good summary of current knowledge about Chacoan great kivas. 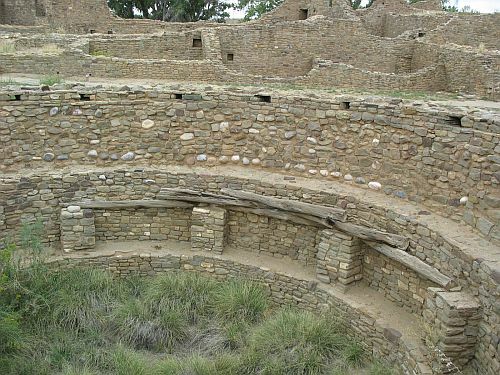 The great kiva is an architectural form that predates Chaco, and it may or may not have outlasted it. The Chacoan form is distinctive, however, and found even in areas without a long history of pre-Chacoan great kivas. It is highly standardized in both size and features, and is one of the surest indications of Chacoan influence wherever it is found. Four post holes, arranged in a square, to support the beams or columns that hold up the roof. The holes may be either round or square. Generally the columns themselves would be huge wooden beams, stubs of which have sometimes been found in the post holes during excavation. Sometimes, such as in the great kiva at Aztec Ruins, square masonry columns, possibly with small poles in them, would be used instead. It’s apparently not totally clear if the use of square rather than round post holes necessarily indicates the use of pillars rather than beams, since the beams would typically be held in place by shale and this could be done in either a square or a circular space. When beams were used, they were supported at the bottom by several stacked stone disks, presumably to distribute the weight. Offerings of turquoise and other valuables were often found in the beam holes, apparently placed during construction. Around the circumference of the kiva is a bench, sometimes doubled. These benches were often refaced with new masonry, sometimes in connection with more general renovation of the kiva features and sometimes not. There is typically a series of wall niches around the circumference of the chamber, above the bench. These vary in dimensions and number, but there are usually about 30 of them, especially in later great kivas. Sometimes there is more than one series of niches at different levels, as at Casa Rinconada. The purpose of the niches is unclear; some of them had offerings sealed into them, but these may have been construction offerings rather than indicating anything about post-construction use. Entrance is from a staircase leading down from an antechamber. There would probably have been a smokehole in the roof as well, but it is unclear whether there would have been a ladder providing entrance through the roof as was the case in smaller round rooms. An intact great kiva roof has never been found, which is unsurprising since the roofs would have been enormously heavy and very likely to cave in once the structure was no longer maintained. The antechamber is on the north side in most cases. 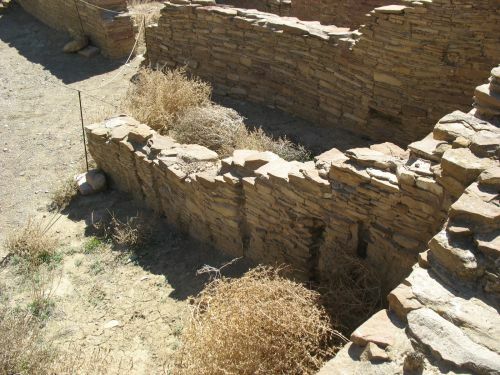 Kiva Q at Pueblo Bonito has an apparent staircase and antechamber on the south side instead, but Van Dyke suggests that this may have been an error of reconstruction. She doesn’t go into any more detail about this, however, and it’s unclear what the implications are if the room on the south side of Kiva Q is not an antechamber. Casa Rinconada has antechambers with staircases on both the north and south sides. Along the central north-south axis, slightly offset to the south from the center point, is a firebox. This is usually a masonry cube with a circular or oval firepit in it. Just south of the firepit there is a deflector. This is a common feature in small kivas, which usually have a ventilation shaft on the south side, but since great kivas don’t have ventilation shafts and usually have their entrances on the north side it is unclear how useful this deflector would have been in practice. Assuming there was a smokehole, a great kiva was big enough that it’s unlikely ventilation would have been a major concern. Attached to the two southern postholes on the north side, and sometimes running all the way to the northern postholes, there are two rectangular masonry “vaults.” They are usually but not always subterranean. The function of these is unclear. Some have claimed that they are “foot-drums,” which would have had boards on top of them and people dancing on them, but not everyone accepts this interpretation and I don’t find it very convincing. 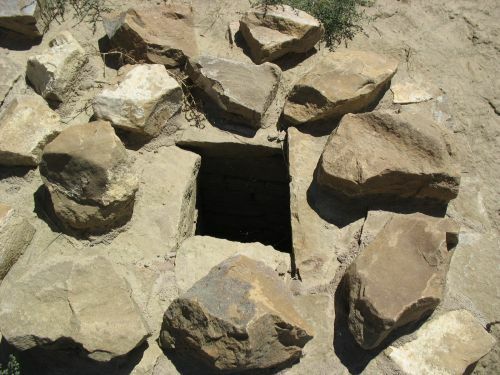 Small kivas sometimes have a single subfloor vault on one side of the firepit, but it is unclear if there is any connection between that type of feature and the much more formal vaults of great kivas. These are the basic features that are repeated again and again at Chacoan great kivas. Relatively few have been excavated, but all of those that have show these same features with minor variations. 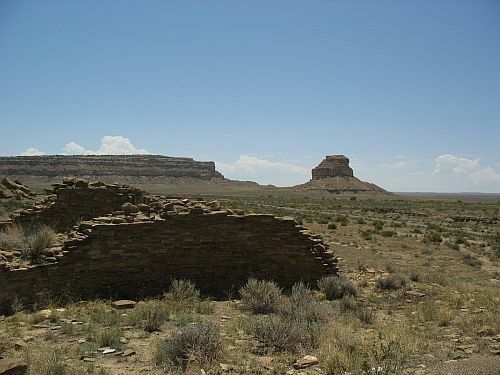 Van Dyke provides a comprehensive list of the known great kivas at Chaco. There are 21 of them, of which 11 have been excavated. Ten of these are associated with the great houses Pueblo Bonito (4 great kivas), Chetro Ketl (3), and Kin Nahasbas (3). (Note that Van Dyke is counting remodeled versions of earlier great kivas separately here.) 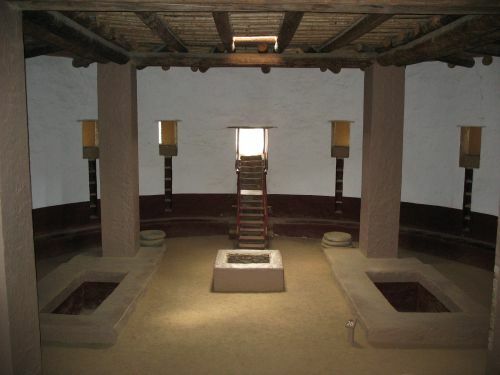 The only “isolated” great kiva to be excavated is Casa Rinconada. It is also the largest excavated great kiva in the canyon at 19.5 meters in diameter, although it is not the largest excavated great kiva (the one at Village of the Great Kivas, a Chacoan outlier on the Zuni Reservation, is 23.7 meters in diameter), nor is it the largest great kiva in the canyon (the unexcavated northwest great kiva at Peñasco Blanco is 23 meters in diameter). Van Dyke explicitly cautions her readers to be careful about the possibility of overemphasizing the importance of Rinconada just because it is so well known, and this is an important warning. 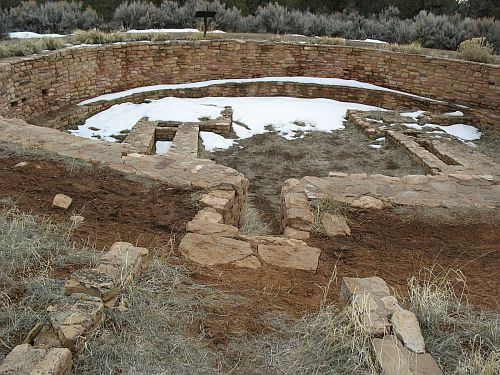 It does appear that Rinconada is unusual among all known great kivas in several ways, including the two antechambers and the “secret tunnel” leading from a back room of the north antechamber to a subsurface round enclosure around the northwest posthole. It is also positioned in a very significant location, across from Pueblo Bonito, and there may be astronomical alignments encoded into it. 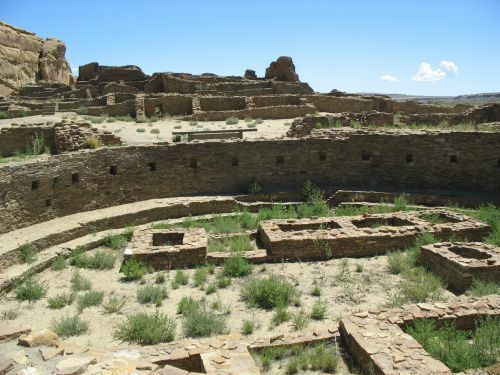 However, it is important to note that like the other great kivas at Chaco that are visible today, Rinconada has been substantially reconstructed. 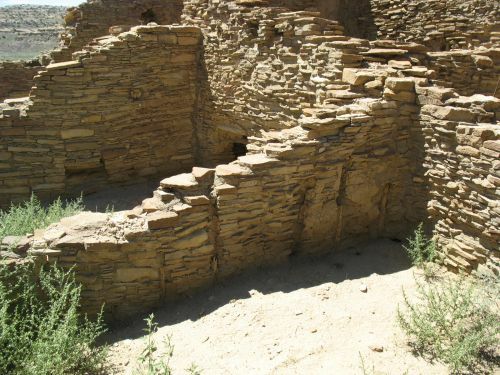 In general Chaco has had a much lighter touch with reconstruction than many other parks, but great kivas, which are typically found in a substantially reduced state with large v-shaped breaches in the upper walls, are an exception. Kivas A and Q at Pueblo Bonito as well as Casa Rinconada have all been built up to what their excavators considered a reasonable approximation of their original condition. The great kiva at Aztec, of course, has been completely reconstructed to give an impression of what it might have looked like, and while there was apparently once talk of doing something similar at Casa Rinconada nothing ultimately came of it. 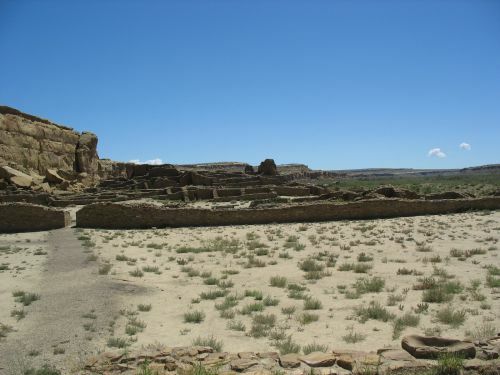 In addition to the excavated great kivas, there are ten unexcavated ones at Chaco. It is hard to tell much about these, since they are basically just big recessed circles in the ground, but they are generally at least in the same size range as the excavated examples and can probably be assumed to be similar. There may well be additional unknown ones, either associated with great houses or isolated. It is particularly likely that early great kivas would not be apparent on the ground, since they are generally smaller than later ones and the excavated examples (or possible examples) all come from within early great houses where they are often overlain by later construction. The known unexcavated great kivas associated with great houses include two at Una Vida, one at Hungo Pavi, and four at Peñasco Blanco. There are also three “isolated” great kivas, all of them at the east end of the canyon: one in Fajada gap, one on the south side of the canyon across from Wijiji, and one in a side canyon at the foot of Chacra Mesa below the Basketmaker III village known as Shabik’eshchee. 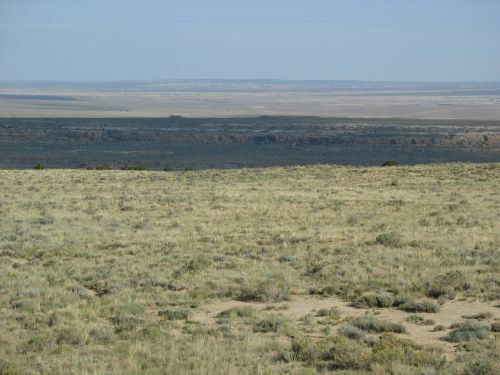 As noted above, the northwest one at Peñasco Blanco is huge, probably the largest at Chaco. The one in Fajada gap appears to be about 20 meters in diameter, which puts it in the same size range as Casa Rinconada, although the difficulty of measuring diameter precisely with unexcavated great kivas makes it impossible to say if it is actually bigger than Rinconada or not. One interesting thing about these isolated great kivas is that they are all on the south side of the canyon, as is Casa Rinconada. This contrasts with the tendency of great houses to be on the north side and provides some support for the idea that the great kiva is conceptually separate from the great house and has its own history as a form. 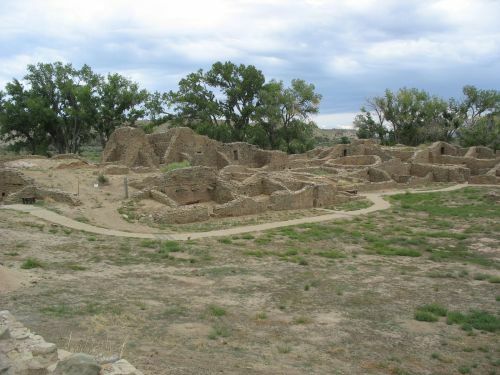 It’s hard to say how to interpret this in the context of the postulated attempt by great-house elites to incorporate great kivas into their great houses as a way to legitimize their authority, which Van Dyke proposes as an explanation for why most great kiva construction at great houses didn’t take place until the mid-1000s. 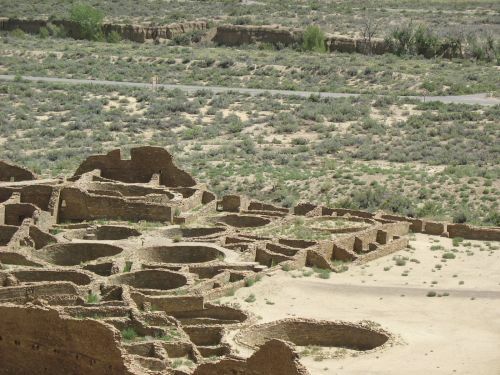 Evidence that the specialized roofing system for great kivas was already in place in the 900s comes from the early “great kiva” at Kin Nahasbas, which was more thoroughly excavated than the one at Pueblo Bonito. It underlies the two later great kivas, which had classic great kiva features. Its own features were largely obscured by the later construction, but it does appear to have postholes. It couldn’t be dated directly, but the excavators concluded that it was probably associated with the tenth-century greathouse behind it. This implies that there was at least one great kiva this early, but that the one at Pueblo Bonito was not one. Interestingly, the diameter of this great kiva was only 7 meters, making it smaller than the Pueblo Bonito example and suggesting that size isn’t everything when it comes to great kivas. The early great kiva at Una Vida is very poorly known and may not exist at all. There is certainly another, later great kiva at the site. Van Dyke refers to William Gillespie’s account of Una Vida’s architecture in Steve Lekson’s Great Pueblo Architecture of Chaco Canyon, New Mexico as the source for the idea that there is a great kiva associated with the early-tenth-century construction there, but Gillespie is very vague about the basis for his speculation that such a great kiva existed, and says only that “surface evidence is inconclusive.” Van Dyke lists the diameter of this postulated great kiva as 17 meters, which is remarkably large for such an early structure and only slightly smaller than the later great kiva, which is much more obvious and has a diameter of about 18 meters. Una Vida is a very confusing and poorly understood site, so the lack of clarity regarding its great kiva(s) is not really surprising. 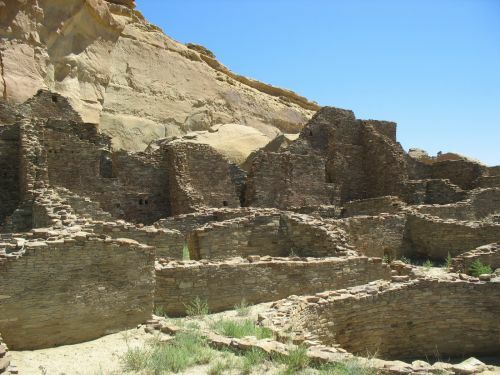 The only other early great house, in addition to these three, at Chaco is Peñasco Blanco. It apparently has four great kivas, none of which has been dated. It’s quite possible that one or both of the two great kivas in the plaza dates to the 900s, but neither has been excavated. It is also possible that there are additional early great kivas either underlying the later ones or elsewhere in the site. The number of apparent great kivas is one of the many reasons I think this site is likely much more important to Chaco than is usually appreciated. 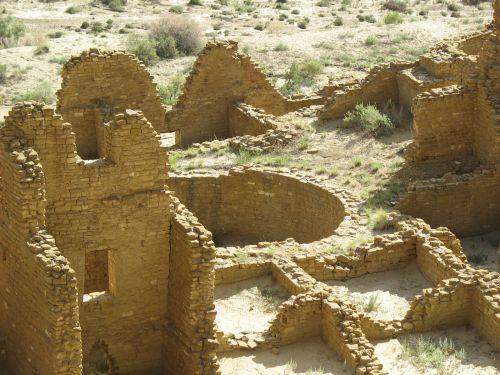 It is both one of the earliest sites at Chaco and one of the largest, and it may have served as an important connection to the communities downstream on the Chaco River, where many of the early great houses were, as well as with the Chuska Mountains beyond. Van Dyke has little to say about it in this chapter, which is understandable since the great kivas are unexcavated (as is the rest of the site). The upshot of all this is that there probably was at least one great kiva built at Chaco in the 900s, and there may have been more, but it does seem to be true that great kiva construction increased dramatically after around 1030. 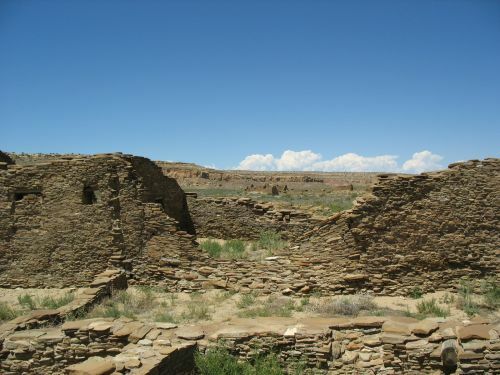 This is the same time that a lot of other changes were happening in the canyon, including massive construction projects of various sorts at several great houses, and it is probably the time when Chaco first became the regional center for the San Juan Basin (though it had likely been an important center for a long time). 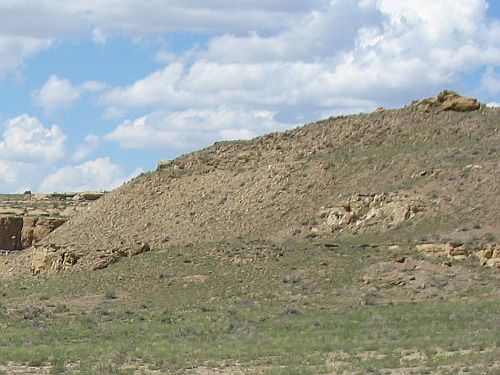 Van Dyke argues that part of this was the appropriation of the great kiva form, which in previous times had been particularly common in communities to the south, by emergent local elites attempting to legitimate their increasingly hierarchical authority and control over periodic regional gatherings in the canyon that were beginning to draw pilgrims from throughout the Basin (and perhaps beyond). In another article she argues that this process was part of a “tipping point” or “qualitative social transformation” that changed a predominantly egalitarian society into a more hierarchical one. In this context, the use of great kivas may have been an attempt to establish links with the past by incorporating an old, traditional architectural form into the new and potentially threatening form represented by the great house. I’m not sure I buy this entire story, but I think at least parts of it are likely true and it’s certainly thought-provoking. Wherever they came from and whenever they became part of the Chacoan architectural repertoire, by the height of the Chacoan era great kivas were among the most standardized parts of the highly standardized Chacoan “system,” whatever it was. There are plenty of puzzles remaining about them, as is true with most everything associated with Chaco, but regardless of whether we are ever able to answer all the questions they pose they are still among the most impressive achievements of this very impressive society.